Sponsored post – Visit Pittsburgh hosted us at the Children’s Museum of Pittsburgh. All opinions are my own. 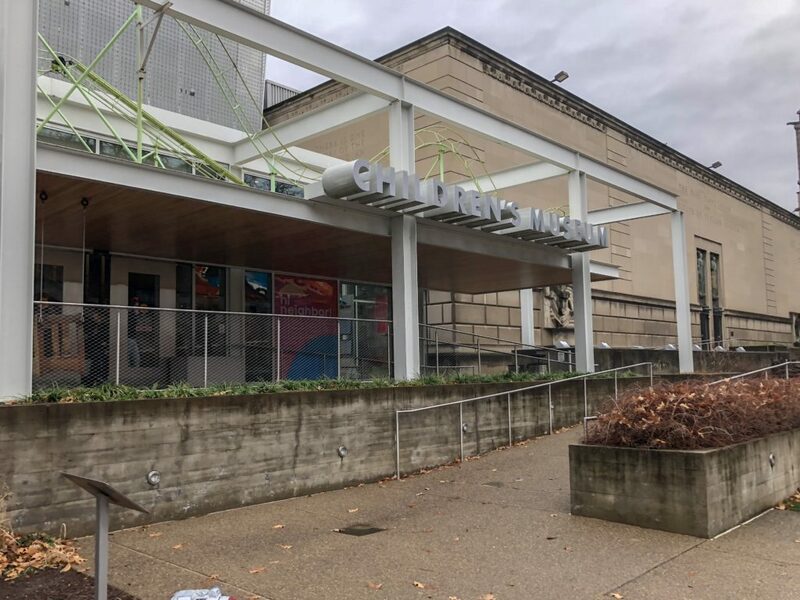 The Children’s Museum of Pittsburgh is located on Pittsburgh’s North Side. It is an interactive, hands-on museum made for children. The museum has many permanent exhibits, with at least one rotating exhibit that changes every few months. 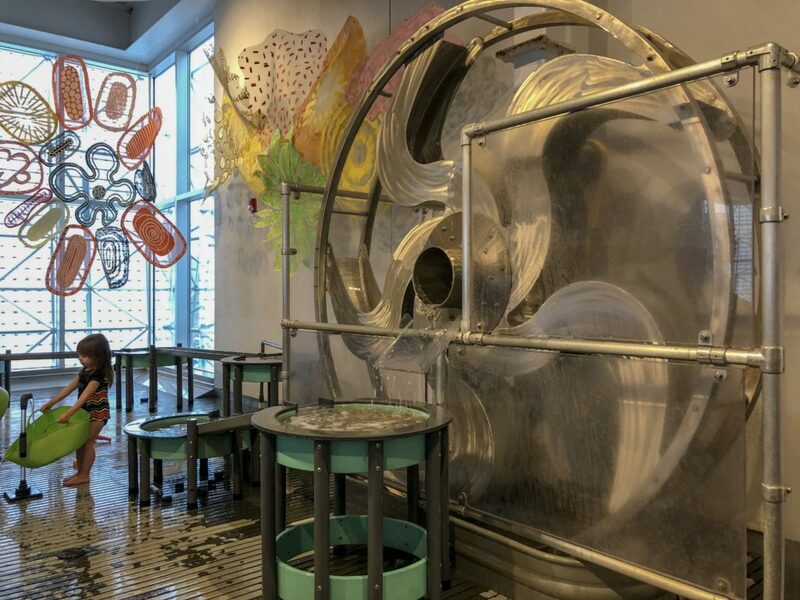 The Museum consists of three floors of exhibits, with the top floor being a special space for water play. Upon entering the museum, the first exhibit space is an area for painting and other art projects. There’s easels and tables for painting as well as a few special art exhibits which rotate. The paint stations include aprons to protect your child’s clothing. The next area, as you continue up the ramp to the first floor, is a popular exhibit called the Limb Bender. 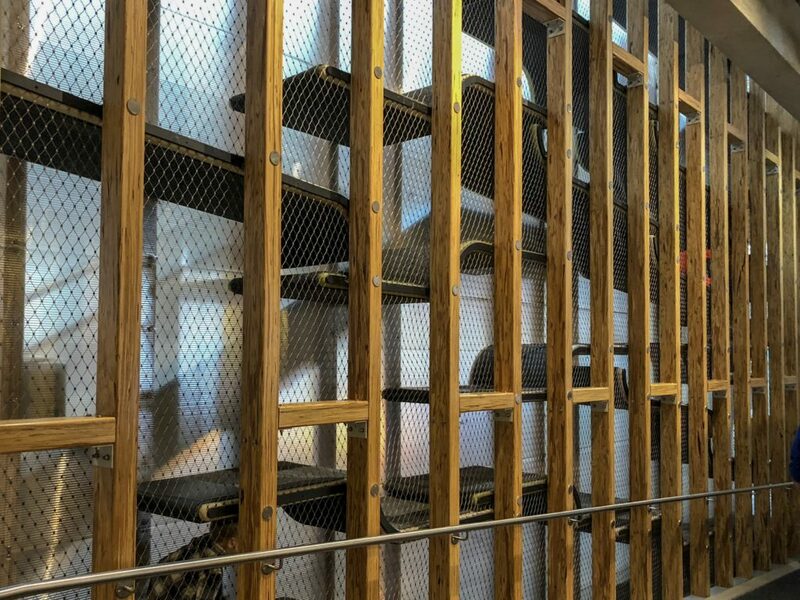 This is a climbing exhibit for children to explore and climb the height of an entire story. It even goes a bit higher than one floor, but don’t worry children aren’t able to exit the Limb Bender on another floor. If they make it the entire way through the maze, they just end up on the other side. It’s easy for parents to observe the location of their children from the ground, but I wouldn’t recommend following your child through the Limb Bender. I saw a few adults get stuck! The area behind the Limb Bender is the MAKE shop. This is a place where your child can use cardboard, yarn, string, tape, glue, and more, to make creative art projects. My kids loved this area and could have sat there forever making their inventions. The first floor is fairly large, and also includes the Attic exhibit, the Garage, and a rotating exhibit. The Attic includes two twist slides which you must get to by walking through a “Gravity Room”. It’s a tilted room that messes with your senses, and I saw plenty of people feeling a bit dizzy as they walked through it. 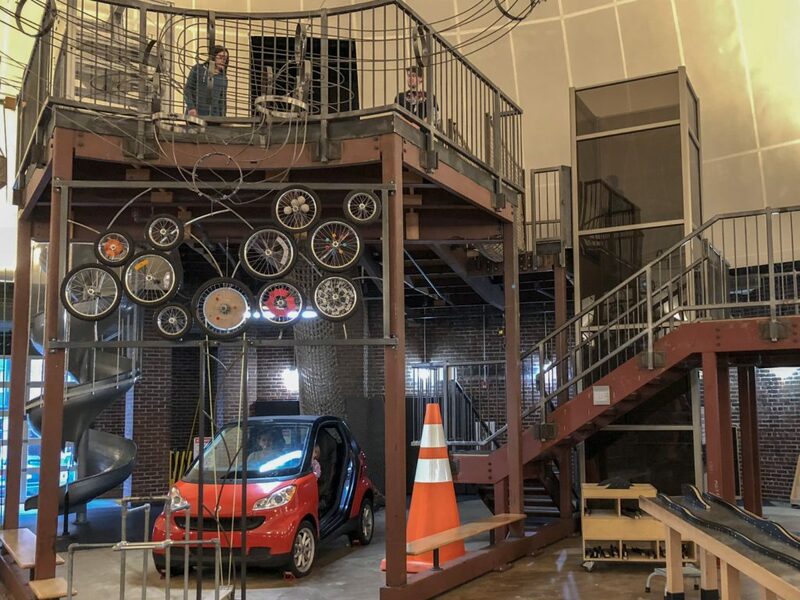 The Garage includes a real car to explore, as well as a rope climb and twist slide. There are plenty of places in this area to play with balls, cars, and my favorite, the roller seats. This area is popular and gets busy, but luckily it is a big space. On the next floor is the Nursery, which is a dedicated space for the youngest visitors of the Museum. This is the area for toddlers to explore with a train table, sand table, ball exhibit, and a soft play area for babies. 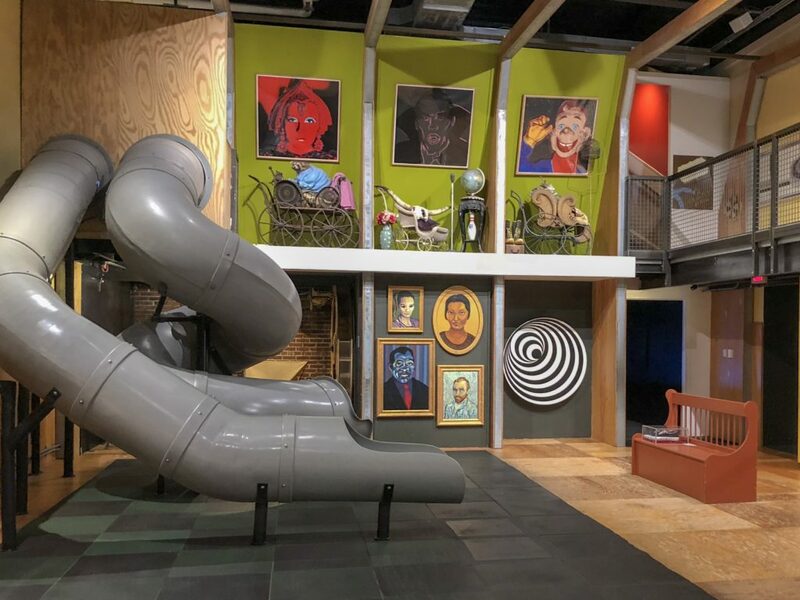 This floor also features original items from Mr. Roger’s Neighborhood on display. The top floor of the museum is unique, as the entire space is dedicated to water play. There are several private family changing rooms with bathroom facilities and baby changing stations to prepare for fun with water. Most children wear swim suits, or if a child wears regular clothing there are plastic aprons in an attempt to keep clothing from getting wet. I would highly recommend bringing a swim suit and non-slip water shoes for children to play in this exhibit. In the water play area there is a water trough and several places to play with pipes with water flowing through them. There are benches for parents to sit on, which are mostly away from the threat of getting wet. When we visited, there was a table for children to play with snow and make snow creations with cookie cutters. When finished, there are personal hand dryers, but I would recommend bringing a towel. 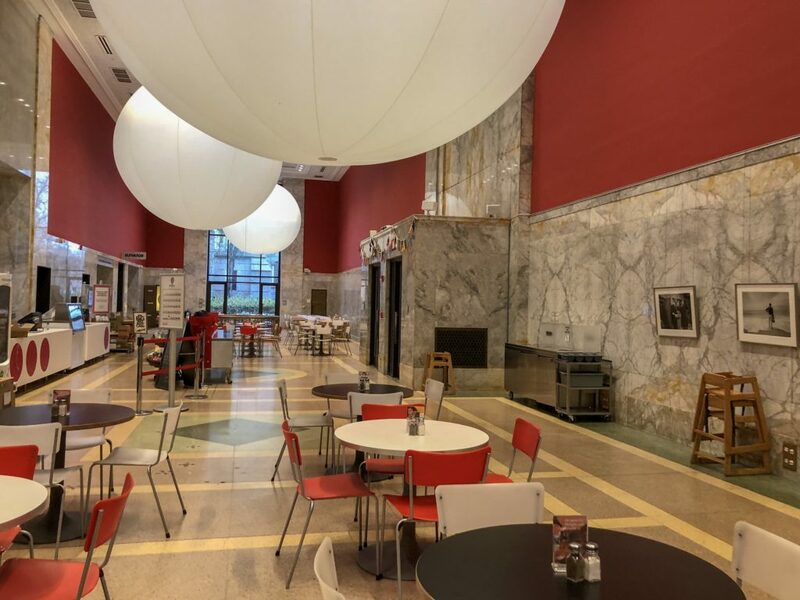 Since there is plenty to explore at the Children’s Museum of Pittsburgh, you may be there long enough to need a snack or meal. While I saw people bringing their own food, there’s also an onsite cafe with plenty of kid-friendly food options. We tried the kid’s meal with pizza and a side of mac and cheese. If you’re planning to play on the third floor water area, a swim suit, towel, and water shoes are helpful. Otherwise, a change of clothes may be needed. Visit early in the day, immediately after opening for the lowest crowds. The gravity room can be very disorienting. You may want to follow small children through it. Check the museum’s website for their rotating exhibit dates. There may be one that your child is particularly interested in. The museum’s Facebook page indicates the amount of field trips each weekday. It helps to plan your visit around days when it is very busy.